Stay tuned for pics of the "finished product" and more on this great holiday. Earlier in the summer, I posted about my garden. I must admit, it's been a pretty pathetic growing season for me. And inspired by the Homeshuler, I realized that I had never updated you, my wonderful faithful readers, with these adorable tomato monsters. (Notice the one in her hand as well.) She and Sam would eat them as fast they could be picked. And occasionally, I found myself saying "no, you can't eat the tomatoes, we won't have any for the salad" and then I'd realize the ridiculousness of what I was saying! My children were clamoring for tomatoes...to say no would be crazy!!! So most of the tomatoes ended up in little hands and mouths. I'm looking forward to next year. Just this week I ordered a new raised garden bed from NaturalYards, and I'll try to remember to update you when it arrives. I'm hoping to get it settled so I can plant a big ol' crop next summer. It's customary to greet one another in the days before Yom Kippur with the words "tzom kal" - "may you have an easy fast." And I've decided that this is a terrible greeting. I don't want my fast to be easy. I want my fast to be purposeful. I want my fast to be meaningful. I want my fast to remind me that people are starving in the world. I want my fast to remind me that my spiritual self has work to do. I want to feel the light-headedness that comes at the end of the day when I've been on my feet for almost 12 hours leading services and I want that moment to lift me up and help me feel a true connection to God. So this year I'm not wishing anyone an easy fast. May your fast be full of all that you need it to be. May your fast be powerful and purposeful and meaningful. 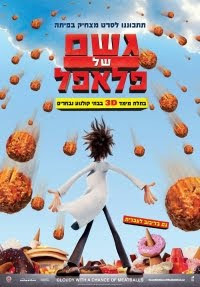 The new movie, Cloudy with a Chance of Meatballs, came out over the Rosh HaShanah weekend. For obvious reasons, we haven't seen it yet, so this isn't a movie review. Kippah tip to Mixed Multitudes. From my family to yours...May you have a year full of joy, goodness, health, and peace. Yummy Mock Chopped Liver, I Promise! Rabbis do a lot of stuff to prepare for the holidays. Most of us write sermons and freak out. I do that in spades, trust me. I do not "make yontif" - generally the expression used to explain all the meal prep, cleaning, and welcoming of guests. For obvious reasons, I'm rarely around for the holiday meals. But I do love to cook and bake, as you might know. So I try to make something for the yontif table. This year, my synagoguge held a Rosh HaShanah cooking class. The instructor, a wonderful woman named Ruth Ross, demonstrated a recipe for mock chopped liver that I totally fell in love with. When she made it, she brought out a small container filled with deeply beautiful caramelized onions. She explained that they take 5-6 hours to slow-cook but add the right depth of flavor to the chopped "liver." I was totally sold. I started with the onions, about five pounds, sliced. Put the walnuts and onions in the food processor, and pulse til chopped. Add lentils, and process until smooth. Add oil as needed but not too much. Add eggs, add salt and pepper if you think it needs it. P.S. Don't want to make the crazy onions? Just take 2 onions, chop and saute in a little oil. Then use those. Won't be quite as complex and amazing but it will be pretty darn good. Absolutely delicious. Even the Abba thinks so! May your new year be sweet, wonderful, and full of delicious smells and tastes. May you find happiness and contentment, blessings and peace. My great-uncle celebrated his 90th birthday last week. He has played saxophone and clarinet almost his whole life...and he hasn't quit yet! What an amazing inspiration...may we all be blessed to live so long and so well. Haveil Havalim is up over at the Reform Shuckle. 1. Go to the Oh Nuts Facebook page and write on the wall your favorite Rosh Hashanah Gift. Thank you, Oh Nuts, for giving me this great giveaway! Shana tova - Happy New Year everyone! Someday I will figure out what starts a "meme" - like, do people sit around and think up this stuff!? Also funny, because just last week I finally finished putting a Shutterfly album together that I began last Fall...Sukkot through Lag B'Omer...so I just recently looked at these pictures! Okay, I know I'm supposed to tag 4 people but I'm so bad at that...so if you're reading, consider yourself tagged! Oh my goodness, I just figured out who comes up with these memes - people who are trying to procrastinate on their holiday preparations!!! I knew it!!! P.S. AND...there's still time to enter my Rosh haShanah Giveaway from Oh Nuts - you have until September 10th so go click over NOW!!!! While you're procrastinating on writing your sermons...oh wait, is that just me? Well, while you're looking for something to do, here's this week's Haveil Havalim, a weekly roundup of the Jewish-Israeli Blogosphere. AND...there's still time to enter my Rosh haShanah Giveaway from Oh Nuts - you have until September 10th so go click over NOW!!!! Hope you're having a great Labor Day Weekend! It's the first of September, which means that things are moving rapidly toward (gulp) the Jewish New Year. In honor of these days of preparation, I offer two giveaways! 1. 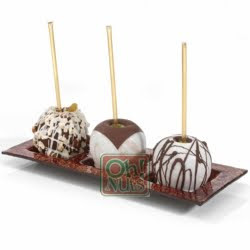 To go to the Oh Nuts Rosh HaShanah gifts page. Choose your favorite Rosh Hashanah Gift and leave a comment HERE with the name of the gift. On Thursday Sept 10, I will pick a random winner and Oh Nuts will send you a $20 gift from their site! What could be better? 2. Go to the Oh Nuts Facebook page and write on the wall your favorite Rosh Hashanah Gift. Absolutely full disclosure: if I get more than 40 comments on this post, I will get my own gift from Oh Nuts! So help me out, folks!!! Tell your friends...thanks!